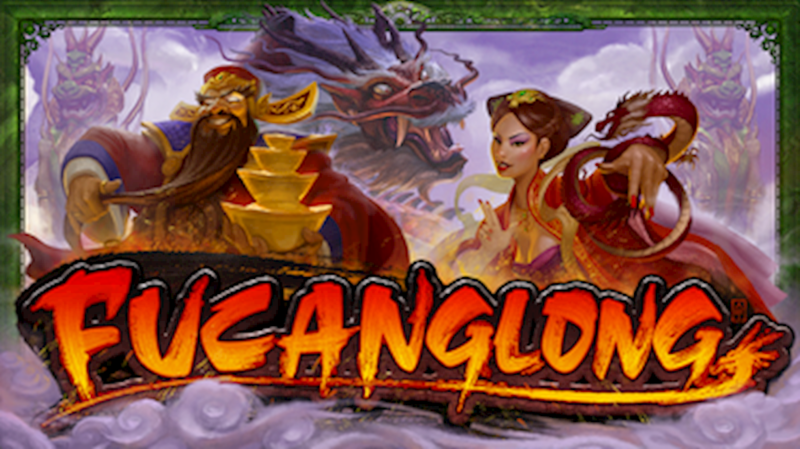 Fucanglong is the latest release from Real Time Gaming, the game revolves around a mythical Chinese dragon which gives the usual Asian slot theme of dragons an exciting new direction. The gameplay is packed full symbols, free spins and multipliers meaning there is a variety of options for both high and low stake players. Although the oriental theme of dragons and fire is nothing new in the slot category its one which is a winning formula, this is enhanced with stunning visuals including treasure chests and ancient symbols synonymous with Eastern culture. The game operates an all pays wins payline, with 1024 combinations, winning combinations are formed by symbols from left to right except for the scatter symbols - dragon pearl and dragon mountain which pay any. The dragon also operates as the substitute symbol, it also functions as a wild on reels 2,3,4 and 5. Fucanglong is a great addition to the slots category with exciting colors, gameplay and symbols it will appeal to players of all levels. It has the potential for some really huge wins, this alongside the bonus mode and free spins mode will ensure this game soon becomes a household favorite.